Built over 100 years ago in 1908 as part of Sir Ernest Shackleton's Nimrod Expedition, the hut is filled with the effects and furnishings from that "heroic era" expedition. Because of the hard work and diligence of the Trust, the hut and its historic contents have been restored for future generations of visitors and scholars to enjoy, learn from and be inspired by. The short video above shows the Trust conservators working on location at this historic hut. Thank you to Katie Leum for her production assistance on this video. The conservators are keeping a wonderful blog through the Natural History Museum in London, U.K. about their Trust work on-site in Antarctica. You can learn more about the conservator and read much more about their vital work on their blog! 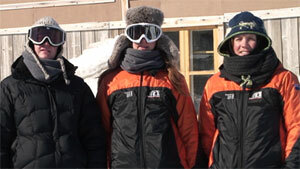 On the Antarctic Heritage Trust's website there are very cool virtual tours of the four historic bases under their care. British Southern Cross Expedition 1898-1900. The expedition led by Carsten Borchgrevink. National Antarctic (Discovery) Expedition 1901-1904. The first expedition led by Captain Robert Falcon Scott. British Antarctic (Nimrod) Expedition 1907-1909. The expedition led by Sir Ernest Shackleton. National Antarctic (Terra Nova) Expedition 1910-1913. The second expedition led by Captain Robert Falcon Scott. 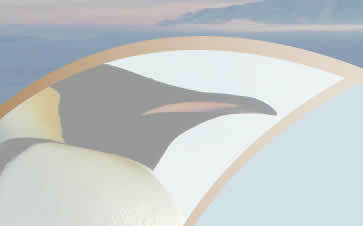 All the sites are protected under the Antarctic Treaty System. In 2007 all four sites (with a particular emphasis on Captain Scott's base at Cape Evans) were listed on the "World Monuments Fund List of 100 Most Endangered Sites in the World."